Our broadcast rights for AS TIME GOES BY and KEEPING UP APPEARANCES have expired. We can no longer air them. They've been a part of the OETA schedule for about 18 years. Many members and viewers have requested that they be replaced by something new. Starting tonight (April 6), we're doing just that. At 10pm will now be ONE FOOT IN THE GRAVE. This series follows the misfortunes of cantankerous old grouch Victor Meldrew as he rails against the injustices of the world around him. Then at 10:30pm, it's THE CAFE. This one is brand, spankin' new compared to our typical British comedies. It premiered on the BBC in November 2011. It's about three generations of a family who play host to customers at a seafront cafe. Each episode sees all sorts of characters pop in and out of the cafe, including old school friends like Richard, who secretly fancies Sarah, and best friends Chloe and Keiran. John, another former school-friend and former 'fat kid', is also back in town but is now a successful businessman, driving a Porsche and looking good. There is a definite spark between John and Sarah, making Richard wildly jealous of the obvious attraction. It's whimsical, warm, funny and engaging, with characters you'll immediately fall in love with. So, there it is. Two changes taking place in the schedule starting tonight. I hope that you'll give the new ones a chance. 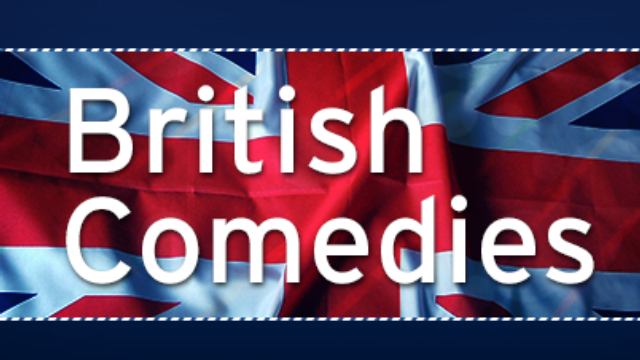 They just might become your new favorite British comedies.